Affordable Long-Term Care Insurance is working for families all across America. Mary Ann sees the benefits of LTC policies when she helps a family process a claim. She understands the peace-of-mind that the family feels knowing their assets are protected and family has time to be family. American families received over $10 billion in Long-Term Care Insurance benefits in 2018 the biggest year on record according to a claims study report just released. The American Association for Long-Term Care Insurance (AALTCI), a national consumer education and advocacy group, reports yearly on total claim activity by the nation’s leading insurance companies offering traditional Long-Term Care Insurance products. “The industry passed the $10 billion mark for the first time,” reports Jesse Slome, director of the AALTCI. The association said, in 2017, total claims amounted to $9.2 Billion were paid in Long-Term Care Insurance benefits to American families. 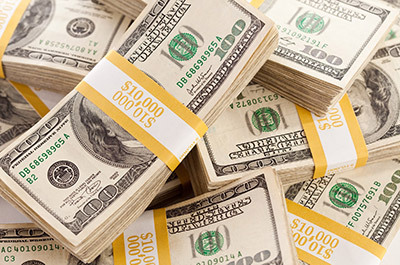 A record $10.3 Billion in claims were paid in 2018 which is $1.1 billion more than the previous year. This reflects an extra $3 million a day in claim benefits. Long-Term Care Insurance pays benefits to help people pay for the costs of extended care due to illness, accidents or the impact of aging. While most people think of this type of insurance as being for “nursing homes” most benefits are paid for home care. Generally, policies pay benefits as well for adult day care, assisted living, memory care as well as the traditional nursing home. This product has become very important as more Americans are living longer. With longevity comes a much larger risk of needing help with activities-of-daily-living or supervision due to cognitive decline. Normal health insurance and for those 65 and older, Medicare, including supplements, pay primarily for skilled services for a very limited time. This means without Long-Term Care Insurance American families are forced to either pay for care out of savings or have family members become caregivers. Sometimes both. “The total value of benefits paid is undoubtedly larger because today there are thousands of individuals who own linked benefit life insurance or annuity policies that can also provide LTC benefits,” Slome added. In many states, there are three types of policies which can pay for extended care needs. Traditional plans which include “partnership certified” policies which provide additional dollar-for-dollar asset protection, asset-based plans or “hybrid” policies. These are the linked life insurance or annuities which provide a long-term care benefit. Plus, limited duration or “short-term” plans which can pay one or sometimes two years of care. Long-Term Care Insurance has become a key part of many American’s retirement plan. Today’s policies, unlike the older legacy policies sold decades ago prior to rate stabilization rules, are both very affordable and rate stable. Policies are custom designed. Premiums are based on the number of benefits requested, your age at application, and health. The AALTCI 2019 Long-Term Care Insurance Price Index shows prices for coverage have increased slightly for new coverage overall compared to the prior year. “In general costs increased slightly compared to our 2018 analysis, but for many insurers, there was no increase compared to the prior year,” reports Jesse Slome, director of the AALTCI. In addition, today’s plans are much more rate stable. A survey conducted by the AALTC recently said that most actuaries see “little or no the risk” of needing future rate increases. Since the risk of needing care is so high due to longevity and the advances in medical science, protecting your future retirement funds from the high costs of long-term health care is an essential part of retirement planning. Start your online research, ideally prior to retirement, by finding the current cost of care services in your state. You will also see the availability of partnership plans and available tax incentives. Find your state on the LTC NEWS MAP by clicking here. LTC NEWS can help you find a qualified specialist by clicking here. Long-Term Care Insurance will reduce the stress and burden otherwise placed on loved ones in addition to protecting assets.